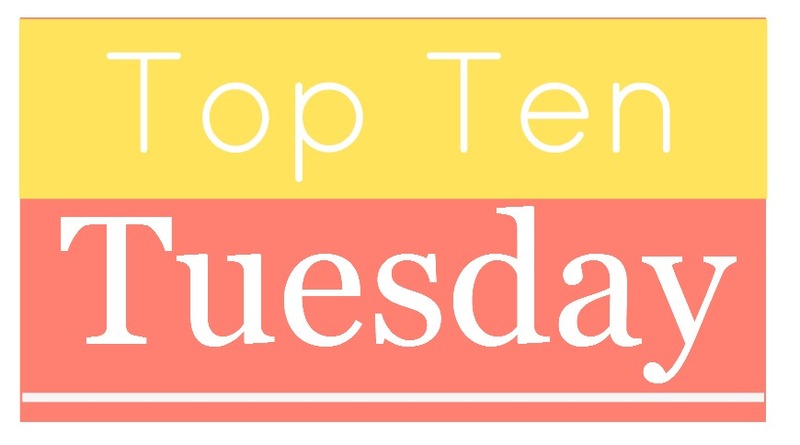 Top Ten Tuesday is the weekly meme hosted by the excellent blog http://www.brokeandbookish.com/. I skipped last week’s post and this post is late, but I’m trying! This week, the topic is friendship, specifically my favorite friendships in literature. I love when books feature strong friendships, so this was a pretty easy topic for me. Here are just a few of my favorite friendships in books. 1) Ari & Dante from Aristotle and Dante Discover the Secrets of the Universe (Benjamin Alire Saenz) – No friendship is truly static, and I love reading books that show how they evolve over time. Ari and Dante’s friendship is a beautiful example of this evolution and the moment at the end of their story, the moment where everything changes, is perfection. 2) The Tree Sisters from Withering Tights (Louise Rennison) – I adore Tallulah and her Tree Sisters, wacky antics, crazy notions, boy obsessed conversations and all! 3) Karou & Zuzana from Daughter of Smoke & Bone (Laini Taylor) – Karou and Zuzana have a refreshingly open, sarcastic and sometimes crazy friendship. Their interactions are a breath of fresh air in an angst-filled book. 4) Julie & Maddie from Code Name Verity (Elizabeth Wein) – This book ripped out my heart and handed it back in pieces, but Julie and Maddie’s loyalty to each other made it worth it in the end. 5) Cammie, Bex, Liz & Macey from the Gallagher Girls novels (Ally Carter) – They may be spies in training, but that doesn’t exempt them from all the ups and downs of teenage lives! Nothing, not even secret organizations and assassins can ruin this friendship! 6) Jasper & Howie from I Hunt Killers (Barry Lyga) – Jasper and Howie’s lives are complicated, but they stick together through it all. Any friend who will get a tattoo (or many) for you because you can’t is a friend worth keeping, right? 7) Anne Shirley & Diana Barry from Anne of Green Gables (L.M. Montgomery) – They are the very best of kindred spirits and bosom buddies. 8) Emi & Charlotte from Everything Leads to You (Nina LaCour) – These two are polar opposites, but they balance each other out and keep each other grounded in a way that allows both girls to be their best selves. 9) Kristy, Claudia, Mary Anne, Dawn & Stacey from The Baby-Sitters Club (Ann M. Martin) – As a tween, I read these books constantly and dreamed of starting a BSC with my own friends. I will always have a fondness for these girls and their baby-sitting, best friend antics. 10) Harry, Ron & Hermione from Harry Potter series – Does this one even need any explanation? This the ultimate friendship, tested beyond measure and stronger for it.